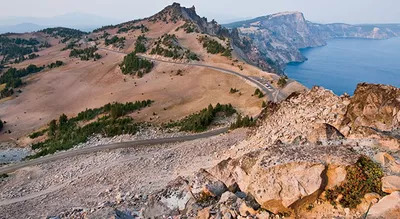 Yes, any old dirt path in your local park is worthy of a run, but here are four awe-inspiring trails to blaze before you die. Yes, any old dirt path in your local park is worthy of a run, but here are four awe-inspiring trails to blaze before you die. You’ll be glad you did. The Dip Sea Trail in Marin County, Calif.
Run here for killer views of redwood trees, grasslands, and the Pacific Ocean. Trek this lake’s rocky rim, surrounded by the lush greenery of the Pacific Northwest, and enjoy views of Mount Shasta. 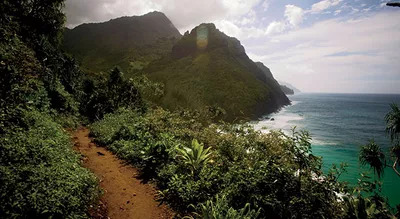 Catch glimpses of waterfalls as you run across rolling valleys along the Na Pali Coast. Finish on the beaches of Hanakapi’ai and Kalalau. 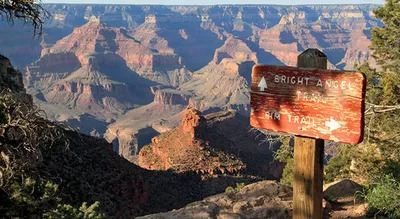 Rim to Rim in Grand Canyon National Park, Ariz.
From the North Rim, you’ll jog more than 14 miles downhill along the North Kaibab Trail before climbing nearly 10 back up on the South Rim’s Bright Angel Trail, taking in rock formations along the way.